When I was in Auburn a few weeks ago, a few of us girls starting chatting about some of our most recent web discoveries and interestingly, we'd all stumbled upon a new-to-us brand of watches: Shinola. These American-made timepieces are created & assembled in Detroit, Michigan and are working a little magic to help revitalize the city's economy. Merging timeless style (no pun intended) with quality leather at competitive prices? Say no more because I'm sold. The company's story is unique and nothing short of heart-warming. In fact, perusing the website you will find the real people behind the watches which certainly takes hand-craftsmanship to a whole new level. If you're like me, and you like a tad of classic mixed in with a little bit of trend, I think the rose gold option above is a perfect fit. Mmmmmm...she's a beauty. 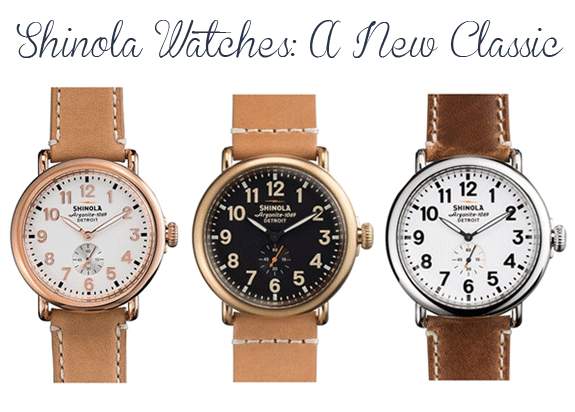 Be sure to add a Shinola to your holiday wish list! I've always been partial to watches with a leather band–they're just so classic! 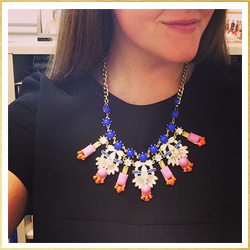 I have one that was my great grandmothers that I love wearing from time to time (ha! ).